SUZHOU, China, Feb. 3, 2019 /PRNewswire/ — On February 1, 2019, GeneQuantum Healthcare of Suzhou and MITRO Biotech of Nanjing signed the “Strategic Cooperation Agreement on Next Generation Radionuclide Conjugates Development” in Nanjing. Dr. Gang Qin, President of GeneQuantum and Dr. Xinping Li, CEO of MITRO, attended the signing ceremony with their teams. Founded in Suzhou Industrial Park in 2013, GeneQuantum Healthcare (Suzhou) Co., Ltd. is a Biotech enterprise focusing on development of innovative therapeutic and diagnostic biologics. 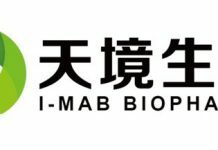 The company has independent innovative and leading platform for bioconjugating drug development and manufacturing, and is engaged in developing series of next generation anti-tumor Antibody-Drug-Conjugates (ADCs) to satisfy the unmet clinical demands worldwide.